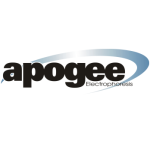 Apogee®, with notable exceptions, designed and has manufactured all of the apparatus found in this brochure - regardless of brand on it over the years. The quality and reliability you have come to expect has not changed, only the name. In the late '70s a small company by the name Bethesda Research Lab® (BRL) had the foresight to realize that researchers in the field of molecular biology needed a source for reagents, enzymes and apparatus. At that time experimental apparatus was made in University shops at great expense with varying degrees of expertise and tended to leak. Lab technicians wanted assurance that touching the wrong place would not result in serious harm. We're proud of the S2®, a revolutionary DNA sequencer that shortly became the world standard. Designed by a talented team at BRL®, the exceptional H58® started the mini-gel format and has been made by us ever since. TIME TESTED APPARTUS FOR YOUR LABS NEEDS. For fast results and easy setup, there is nothing better than the Horizon Series apparatus. The H58 mini horizontal, designed for durable performance and easy storage, is a 5.7 cm x 8.3 cm horizontal format gel electrophoresis apparatus designed for rapid, high-resolution separation of nucleic acids and proteins. The V Series apparatus are designed to electrophorese 15 cm x 17 cm vertical gels for the separation of proteins and nucleic acids. The H4 and H5 Horizontal Gel Electrophoresis Apparatus are designed for separation of preparative and analytical quantities of nucleic acids in an 11 cm x 14 cm (H5), or a 20 cm x 25 cm (H4) gel format and suitable for agarose gel electrophoresis procedures. It is an excellent basic horizontal gel apparatus for schools or research offering more lanes and a longer gel.